The charter fleet is located inside the safe and calm water of Puerto Quetzal. This is a deep water port that accommodates commercial shipping and cruise ships. 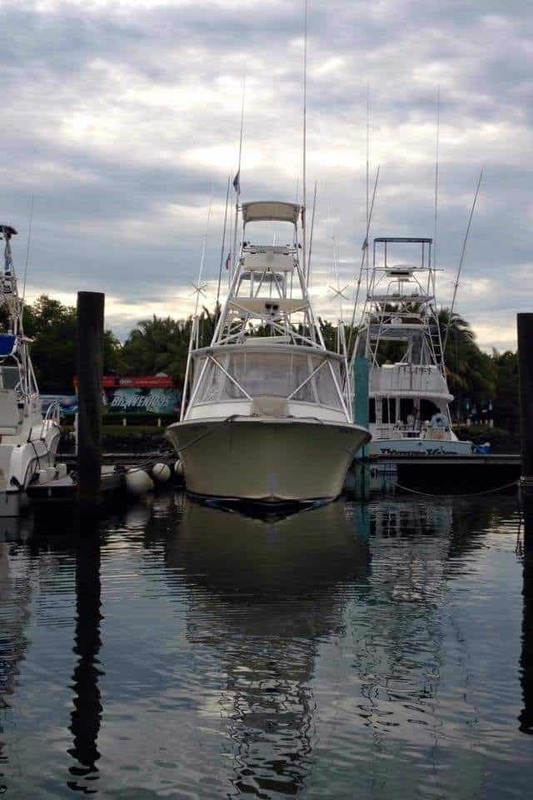 The marina is home to approximately thirty sport-fishing boats from 31ft up to over 70ft. 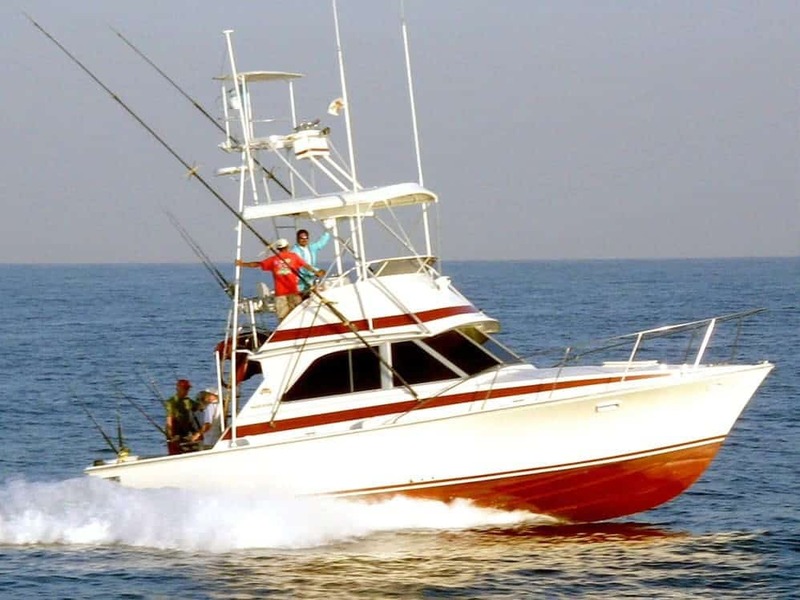 Our company offers great family/group or individual deep-sea sport-fishing packages, including conventional trolling, fly-fishing and other optional trips/tours/adventures that fit a wide range of budgets. We have access to our own boats as well as a range of sport-fishing boats from small pangas all the way up to the most luxurious offshore boats. We will work with you to put together a phenomenal fishing adventure that you can afford. A full fishing day is over 9 hours – leaving the dock at seven am and returning at four pm. Twin 3208 Caterpillar engines make for a comfortable and speedy ride – which can be important when the blue water may be up to 50 miles from port at times ! Our second 35ft Bertram – powered by twin Caterpillar diesels. 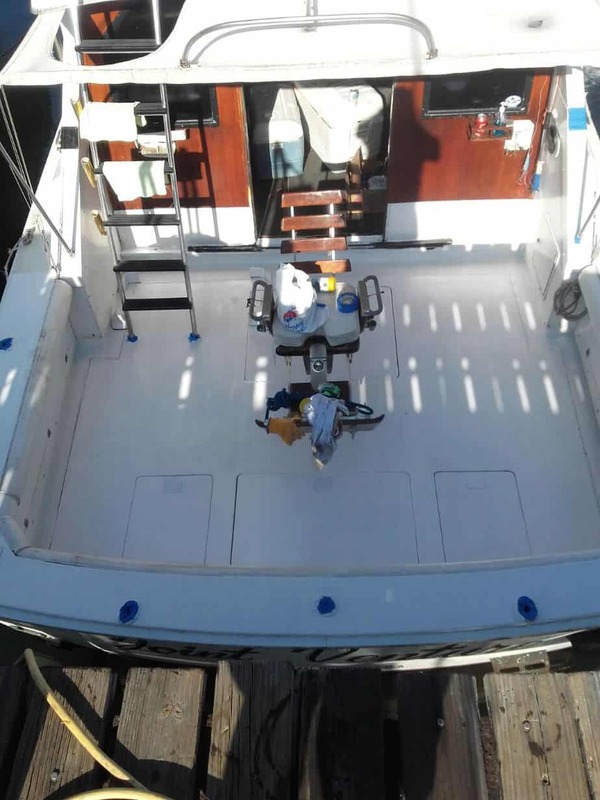 These fishing machines have a huge cockpit for their size – enabling four anglers to comfortably fish together. There is also a large flybridge from where you can watch the action unfold and get jaw-dropping pictures or video of multiple hook-ups ! You don’t always have to go 20 miles plus offshore to get into the fishing action ! We offer half day trips for Rooster fish and king mackerel. Sometimes we can find sailfish only a couple of miles from shore – so it is possible to hook up to billfish even on a half day ! 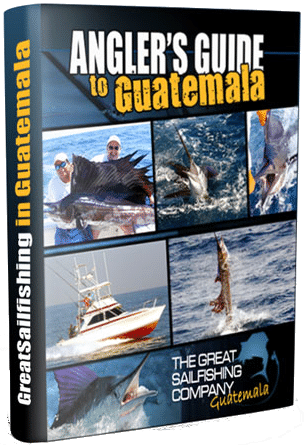 If you are looking for arm bending action – we can take you behind the shrimp boats that harvest inshore and you can pit yourself against huge jacks on either stand-up spinning gear of fly.